And if so what would it mean for the nation’s secretive and divided politics ahead of an undecided leadership succession in 2021? Vietnam’s social media outlets have been abuzz for the past week with claims that Communist Party chief and President Nguyen Phu Trong was rushed to hospital on April 14 and has yet to re-emerge in the public eye. Some online posts have said the country’s most powerful politician merely had the flu, while others have claimed he suffered either a brain hemorrhage or a stroke and is on his deathbed. 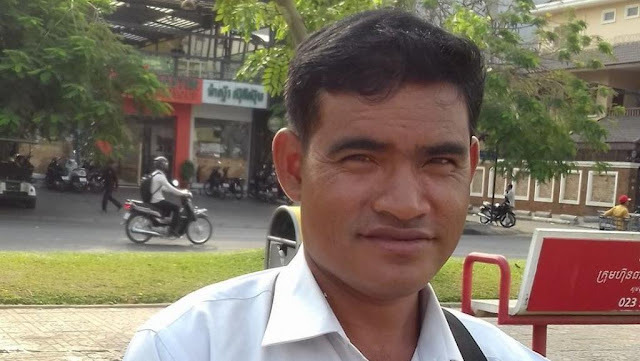 The former deputy executive committee chief of the Supreme Court-dissolved Cambodia National Rescue Party (CNRP) in Tbong Khmum province was placed in pre-trial detention on Tuesday, a day after he was arrested for incitement for comments levelled at Prime Minister Hun Sen on Facebook. Tbong Khmum deputy provincial police chief Prak Bun Non said Sou Yean was detained on Monday after an arrest warrant was issued by a provincial court prosecutor. He added that Yean was sent to Tbong Khmum prison on Tuesday afternoon. 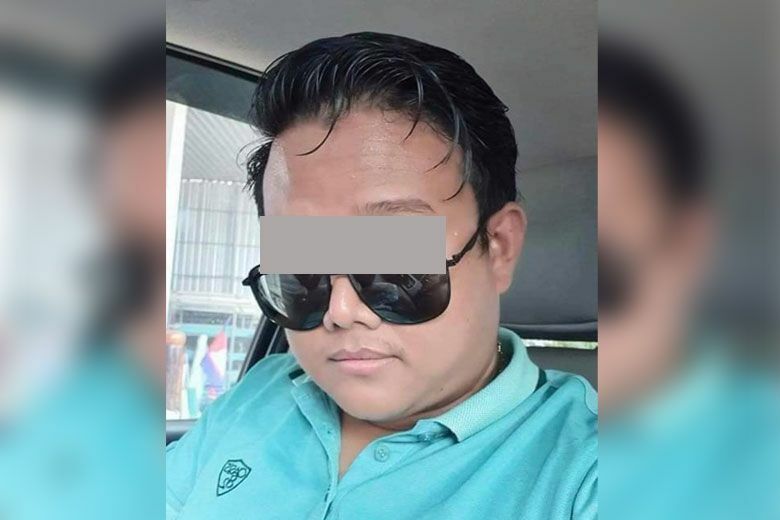 According to the warrant issued by provincial court prosecutor Long Hok Meng, Yean had a complaint filed against him for “incitement to commit a felony” after his Saturday Facebook post. Reached by The Post on Tuesday, prosecutor Hok Meng confirmed the charge but declined to comment further. 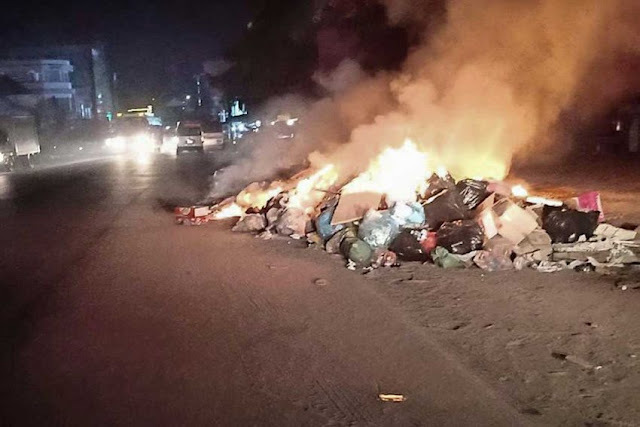 Provincial officials said the trash was set ablaze illegally, while the local waste removal company insisted the incident was not related to its collection. Provincial Environment Department director Samut Sothearith told The Post on Tuesday that setting the trash on fire was an illegal act and the authorities were continuing their pursuit of the culprits. He said they would be fined in accordance with the law and educated on the dangers of such an act, as starting a large fire on the street would harm the road surface and the blaze could spread to nearby houses. Ex-California Gov. Jerry Brown granted more than 1,000 pardons, several of them to Cambodian refugees facing deportation after criminal convictions. 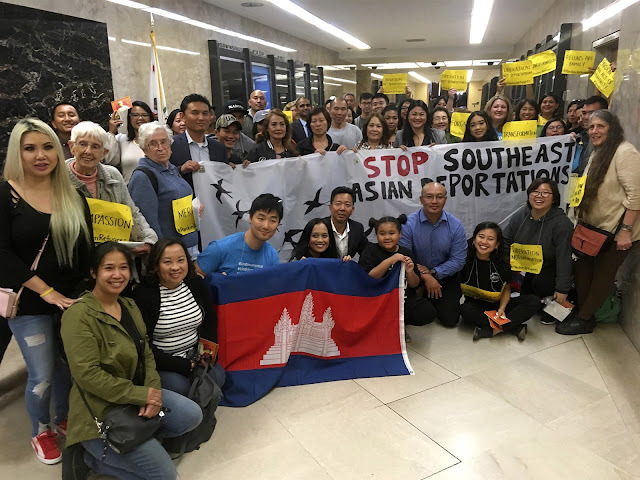 LOS ANGELES — Sokha Chhan was relieved when he learned that he was granted a pardon from then-California Gov. Jerry Brown last year. He had come to the United States from Cambodia as a war refugee about four decades ago, but faced possible deportation to the country that he barely remembered after being convicted of inflicting corporal injury on a spouse or cohabitant and threatening a crime in 2002, for which he served about a year in prison. He was happy to know he would be able to stay with his community in Northern California. 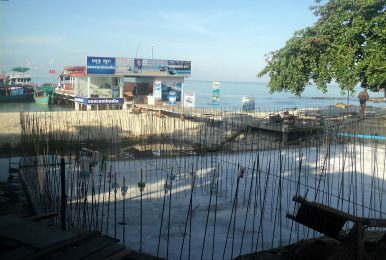 Sihanoukville, the coastal city and only deep sea port of Cambodia, is no longer a sleepy, undeveloped town for backpackers. This is a fact that should be welcome. But the rapid urbanization has caused social and environmental impacts that cannot be ignored. The lack of “Cambodian-ness” and “inclusiveness” is something that needs to be discussed. The whole city is under construction, with cement trucks running across unfinished roads; large-scale cranes sweep across the whole city landscape ready to erect high-rise buildings one after another. At a very fast speed, the city has changed unrecognizably into a construction and casino boom town. For any Cambodian, a visit to the city always sparks a soul-searching exercise. The frustration is caused by the city’s limited capacity to manage growth and the lack of Cambodian-ness in the development process. 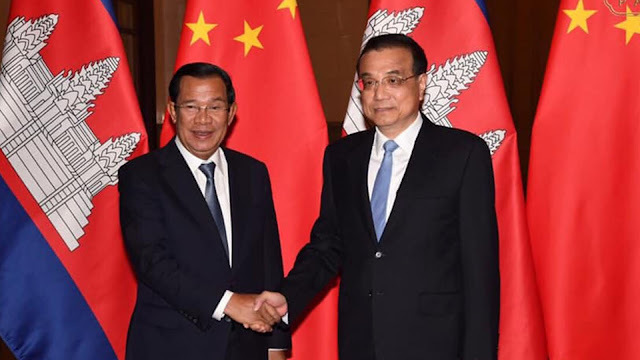 Cambodia is the beneficiary of China’s massive Belt and Road Initiative, which was announced by Chinese president Xi Jinping in 2013. VEAL VENG DISTRICT AND PHNOM PENH — There will be a road here, built by a Chinese state-run company, that will connect remote villages in Veal Veng district to the coastal Koh Kong province to the southeast and to the agriculturally rich district of Samlot in Battambang province to the north. “They [Chinese workers] go back and forth to survey [the road] here,” said So Virak, a 37-year-old villager who owns a plot of land in Ousom commune. 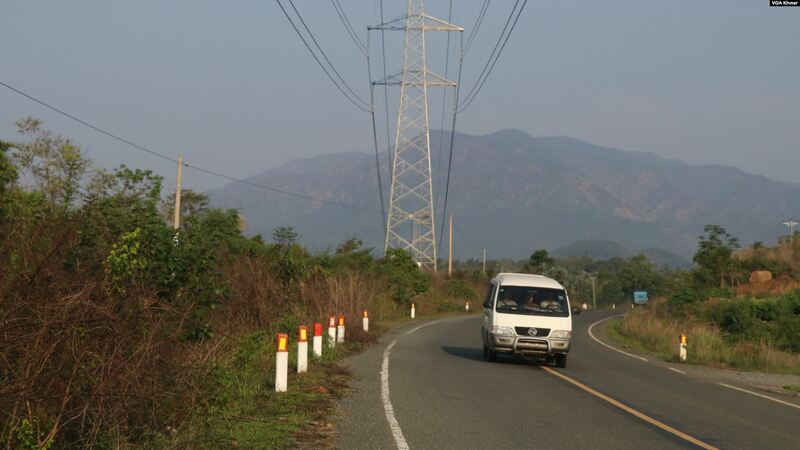 “It is good to have a road for transportation,” he said, adding that the road here is unsuitable to transport crops from the area to other provinces. However, he said he is also concerned that the new road will affect his land when built. 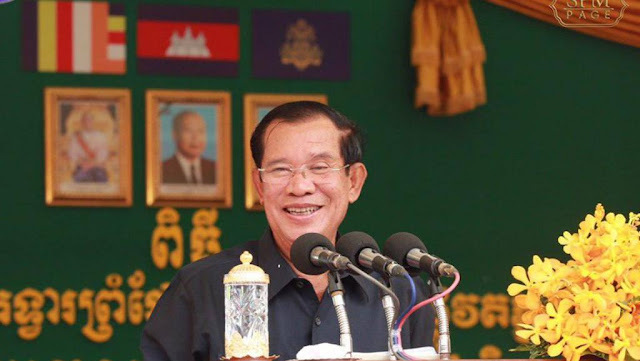 Prime Minister Hun Sen yesterday responded to two Facebook posts made by former opposition leader Sam Rainsy, including one post calling for an internal CPP coup to oust Mr Hun Sen as party president. 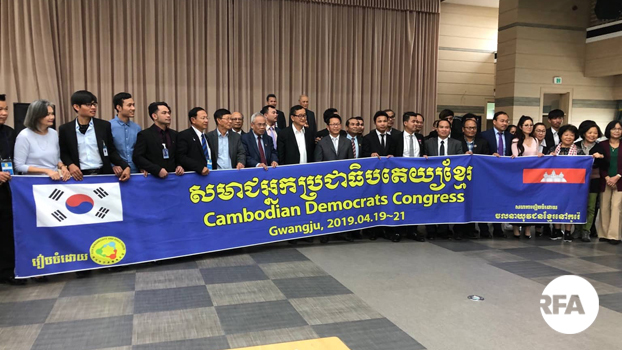 Earlier this month, Mr Rainsy on Facebook said Cambodians should draw inspiration from Algerians who forced their leader to step down. In a second post, Mr Rainsy called on deputy CPP president Sar Kheng to stage a coup against Mr Hun Sen, noting that the move would be supported by CNRP activists. 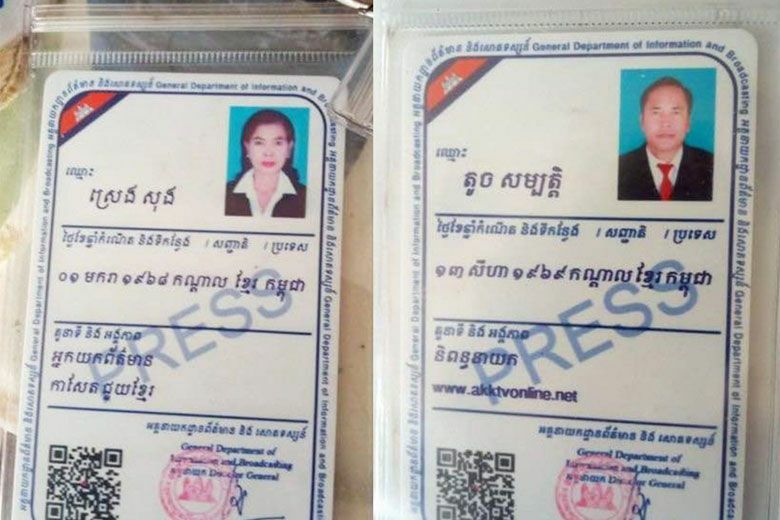 The provincial director of Kampong Speu’s Information Department on Monday ordered four journalists to renew their press passes after they allegedly extorted money from a soil excavation company and entered Tmat Porng Military School unpermitted. Men Sinoun said she questioned the journalists on Saturday before allowing them home. “I merely asked them to obtain proper press passes before going anywhere to seek information. I asked them to adhere to professional standards of journalism. “They came to see the quarry and demanded money. While my husband, the deputy head of the military training school, said he did not mind them coming to ask for money – since they weren’t asking for much and because they were local journalists – I wanted to know which media outlet they worked for. “I asked for a copy of their press cards and they had expired,” Sinoun said. 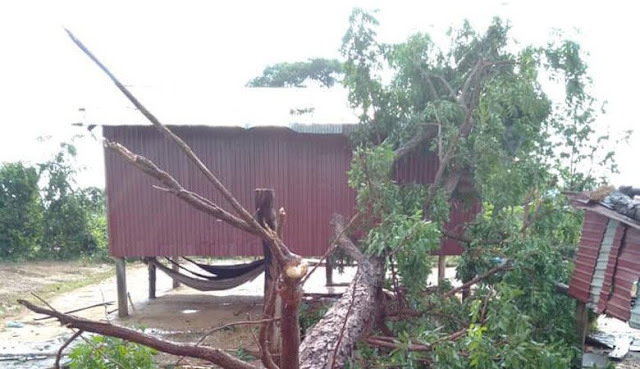 A man was arrested by Kampong Chhnang provincial police on Monday for allegedly killing his wife and seriously injuring his nine-year-old son with an axe in a drunken rage. The attacks took place on Sunday in Boribor district’s Anh Chanh Roung commune. 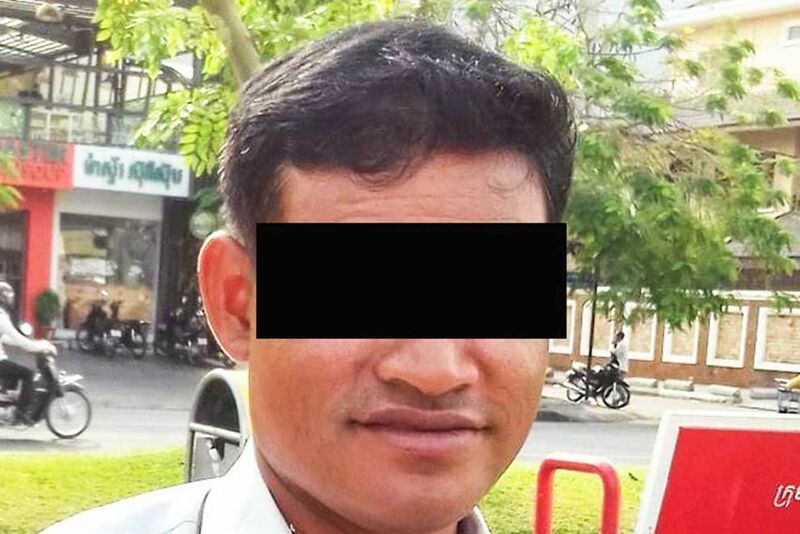 Douch Chamroeun, chief of Kampong Chhnang provincial police’s serious crime bureau, told The Post on Monday that the suspect was a 41-year-old man, while his wife was 46. “I don’t know whether he will be sent to the provincial court on Monday or Tuesday as I am still questioning him,” Chamroeun said. Thun Ratana, Anh Chanh Roung commune police chief, told The Post that they were currently unable to ascertain a motive for the attack. The National Police on Monday detained Seng Sopheak, the owner of Seng Huot car dealership, pending a court appearance on fraud charges after he was arrested on Sunday following complaints filed by some 100 people. The people claimed to have been cheated by Sopheak into paying thousands of dollars each to buy cars from the firm but never receiving the vehicles. 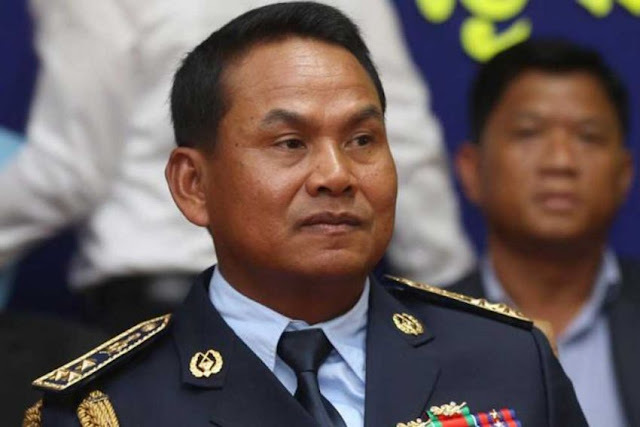 National Police spokesman Chhay Kim Khoeun told The Post on Monday that Sopheak had been detained and authorities were building a case to be presented to court. “We can detain him for a maximum of 48 hours. We are preparing a case to be sent to court, perhaps on Monday evening. 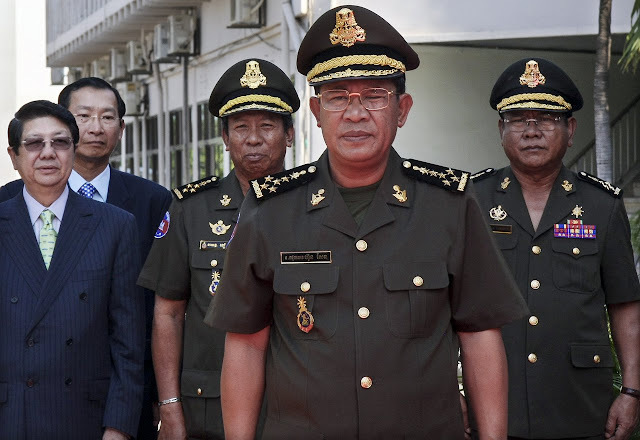 Prime Minister Hun Sen on Monday told Sar Kheng and other government officials not to respond to an unnamed group who he said had urged the Minister of Interior to stage a coup against the leader of the ruling Cambodian People’s Party (CPP). 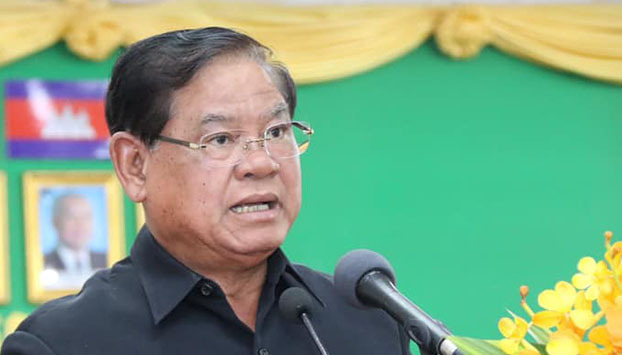 He said during the inauguration of Stung Bot-Ban Nong Ian Friendship Bridge near Poipet on Monday that Sar Kheng, who is also a deputy prime minister, had no need to respond to the “stupid person” who had called on him to lead a party coup. 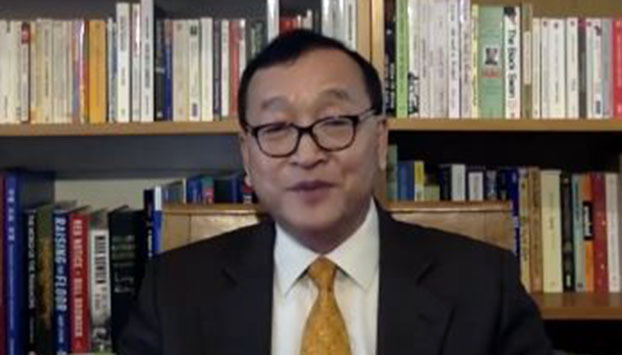 The prime minister’s remarks were seemingly aimed at members of the Supreme Court-dissolved Cambodia National Rescue Party (CNRP) and its “acting president” Sam Rainsy, who on Saturday urged party supporters in South Korea to return to Cambodia with him to arrest Hun Sen.
“Now we can think together: ‘Deputy prime minister would topple the prime minister’ – what does it mean? It means a coup d’etat. I wonder how [this person] can say this. 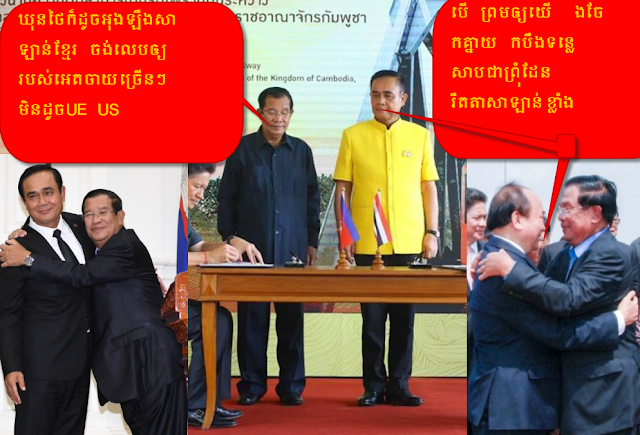 And this coup is meant to transfer power to him – do you think [Sar Kheng] is ignorant? 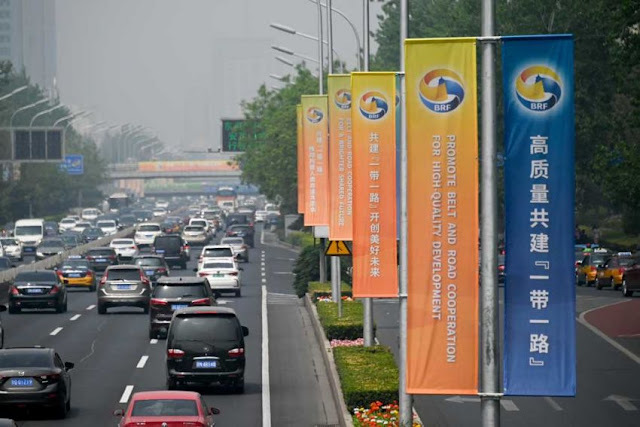 The trade war with the United States coupled with the “Belt and Road Initiative” has the potential to add further pressure to China’s sluggish economy and debt pile, according to researchers, as the benefits of manufacturing in the mainland decrease. 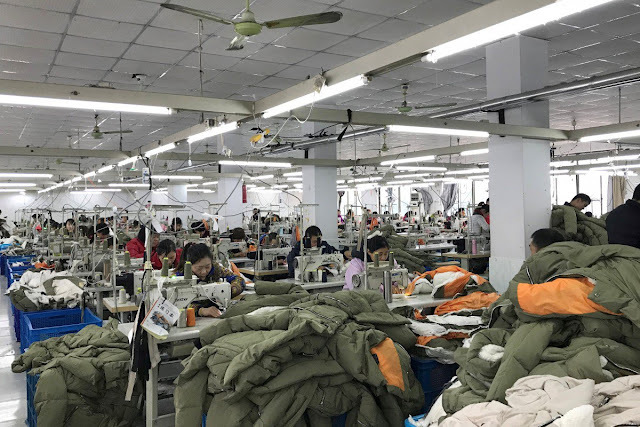 China’s manufacturing industry has already been hit by the US trade tariffs, in particular, the smaller exporters who are the most vulnerable to slowing demand and slimmer margins in the face of competition from low-cost alternatives including Vietnam and India. Many of China’s competitors in Southeast Asia have already joined the belt and road plan to grow global trade, meaning the manufacturing situation in the mainland is likely to get worse, the researchers said, as investment in the initiative may speed up the exit of low to mid-end production from China to the likes of Vietnam and India despite the benefits of better infrastructure and supply chain. 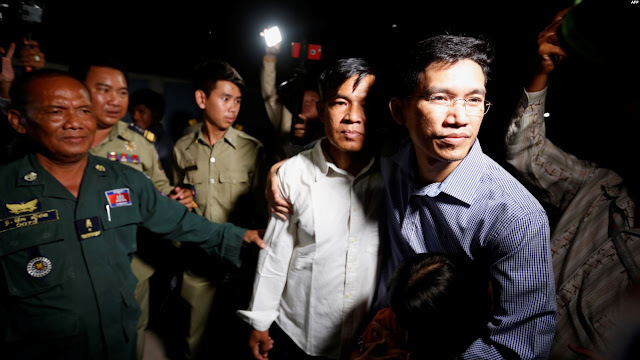 FILE - Yeang Sothearin (R) and Uon Chhin, former journalists for U.S. founded Radio Free Asia (RFA), who have been charged with espionage, leave Prey Sar prison after being freed on bail, in Phnom Penh, Cambodia, Aug. 21, 2018. PHNOM PENH — For former Radio Free Asia reporter Yeang Sothearin, life took a drastic turn when Cambodian police came to detain him and his colleague Uon Chhin in November 2017. They were accused of conspiring with foreign powers, charges they have since denied. 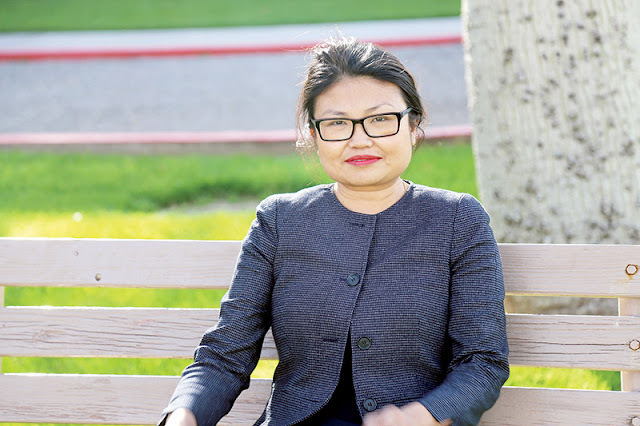 “My son is 10 and my daughter is eight, but when I was in prison, I tried to hide [it from] them … I told them I went to study to continue my PhD degree at Prey Sar [prison] – they did not know that it was a prison," said Sothearin. His children learned the truth anyway through social media. And while the two reporters were released in August last year and reunited with their families, the charges have not been dropped. About a month ago, the investigating judge forwarded the case for trial. 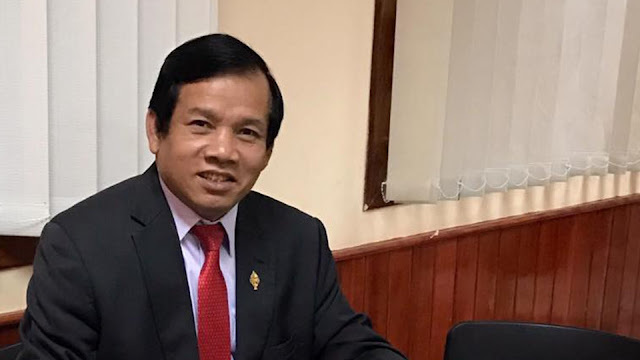 Hang Chuon Naron, the Minister of Education, Youth and Sport, on Monday said that learning through research and analysis rather than by recitation would enhance innovation as Cambodia prepares for the arrival of the Fourth Industrial Revolution. 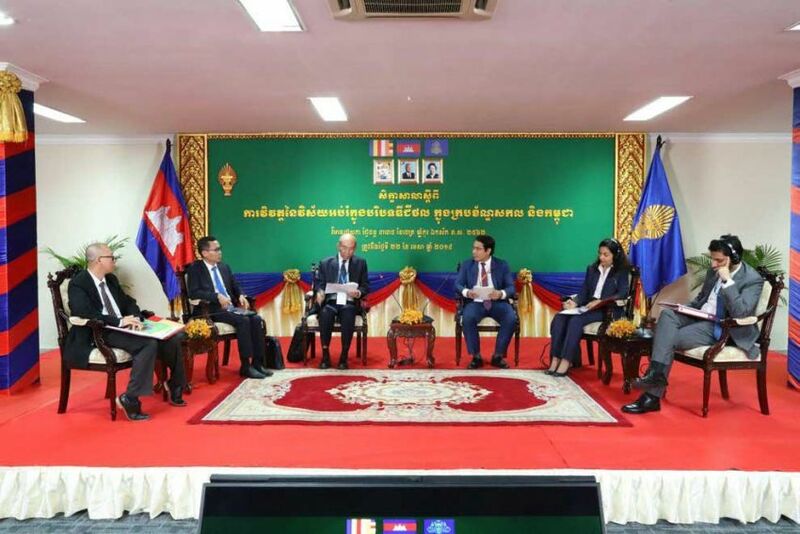 Chuon Naron was speaking at a seminar on Educational Sector Development in the Digital Age in the Global and Cambodian Framework at the National Assembly in Phnom Penh. The seminar aimed to provide a forum for consultation and the sharing of experience, knowledge and concepts for the development of the educational sector, as well as to outline the future vision for Cambodia in the digital age. In a country where emotional and physical abuse is still prevalent, an organisation is transforming the way in which Cambodia’s most vulnerable young people can access help through free phone counselling, information, referrals and follow-up services. 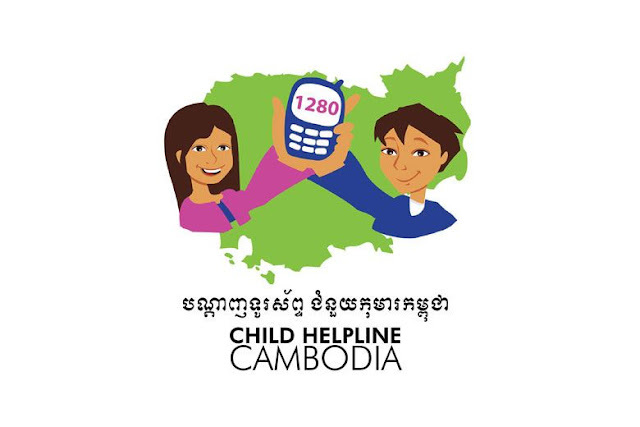 Every month, Child Helpline Cambodia (CHC) receives between 10,000 and 12,000 calls from more than 3,000 young people who have suffered from various types of abuse, its most recent annual report revealed. Speaking to The Post on Monday, CHC executive director Sien Sophai said their system has enabled children and youth up to 25 years old to reach out when they need it in real time. He added that it allows them to speak directly with professional phone counsellors in a safe and confidential environment. 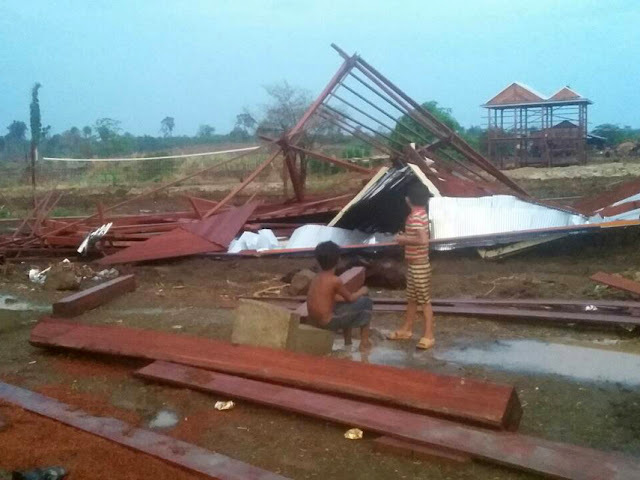 Prime Minister Hun Sen on Monday called on people to remain careful as storms and lightning killed two people and destroyed more than 100 houses, schools and pagodas throughout Banteay Meanchey province on Sunday. 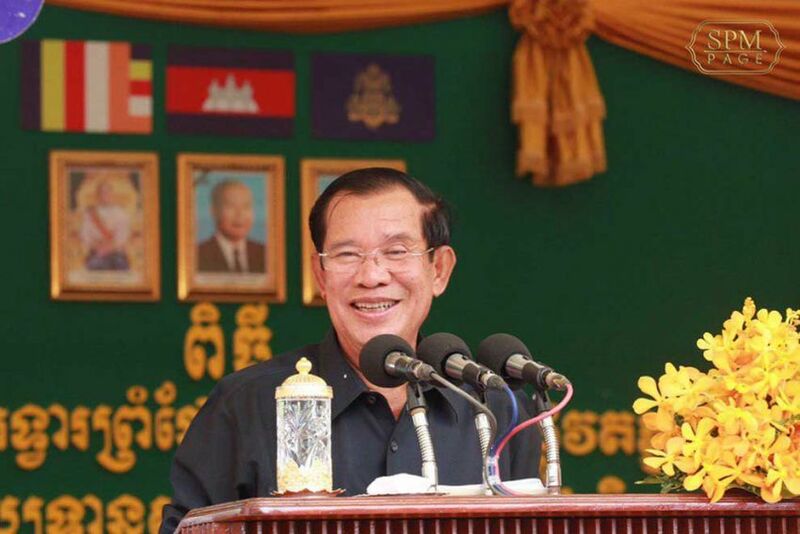 Speaking at the groundbreaking ceremony of the Stung Bot international border checkpoint and a road connecting to National Road 5 in Poipet town on Monday, Hun Sen also ordered Deputy Prime Minister Ke Kim Yan to deploy the Kingdom’s armed forces – including soldiers, police and Military Police – to help victims of natural disasters. “Last night, two people were killed by heavy rain and storms. Also yesterday [on Monday], 156 houses were levelled across the province. 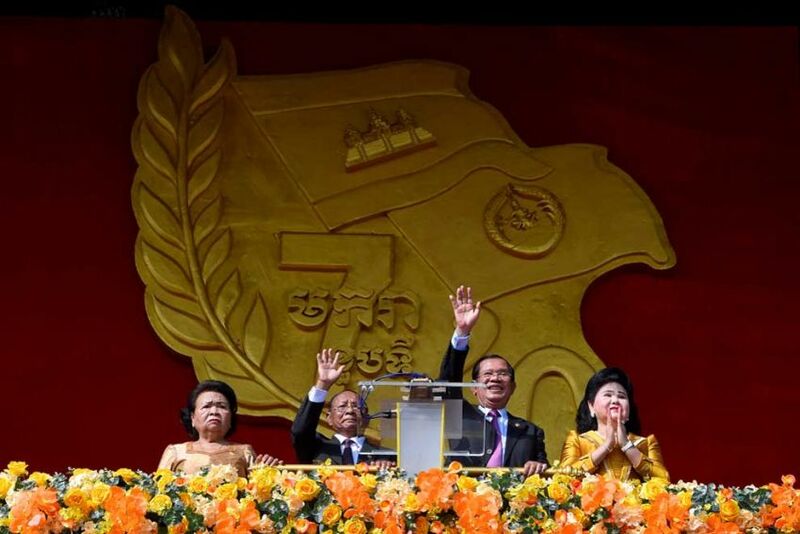 Prime Minister Hun Sen is to lead eight ministers to attend the second Belt and Road Forum for International Cooperation in Beijing from Friday to Monday, with a number of agreements expected to be signed. The Ministry of Foreign Affairs and International Cooperation said on Monday that Hun Sen will attend the Belt and Road Initiative (BRI) meeting in the Chinese capital with a delegation that includes three deputy prime ministers and five ministers. Hun Sen is to “deliver an address on the forum’s theme – Belt and Road Cooperation: Shaping a Brighter Shared Future. He will also share his perspectives on the theme Boosting Connectivity to Explore New Sources of Growth”, the ministry said on Monday. It said the prime minister will have separate meetings with China’s President Xi Jinping and Premier Li Keqiang, as well Wang Huning, a member of the Political Bureau of the Communist Party of China. The verdicts are expected to be announced next Thursday. Rainsy was charged with “inciting military personnel to disobedience” and “demoralising the army” for an appeal to the military he made on Facebook on December 9, 2017. “Please all armed forces, soldiers and police, don’t follow the orders of the dictator [Hun Sen] if he orders [you] to shoot at and kill innocent people,” he said. 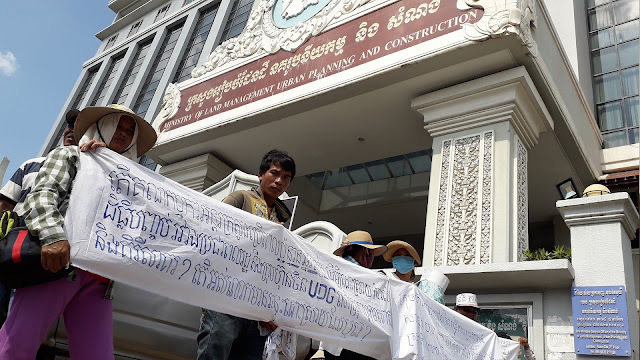 The Preah Sihanouk provincial court on Sunday evening ruled to detain the eight people from a 200-strong group of protesters accused of blocking National Road 4 in Prey Nop district’s Bit Traing commune and using violence against authorities over a land dispute. 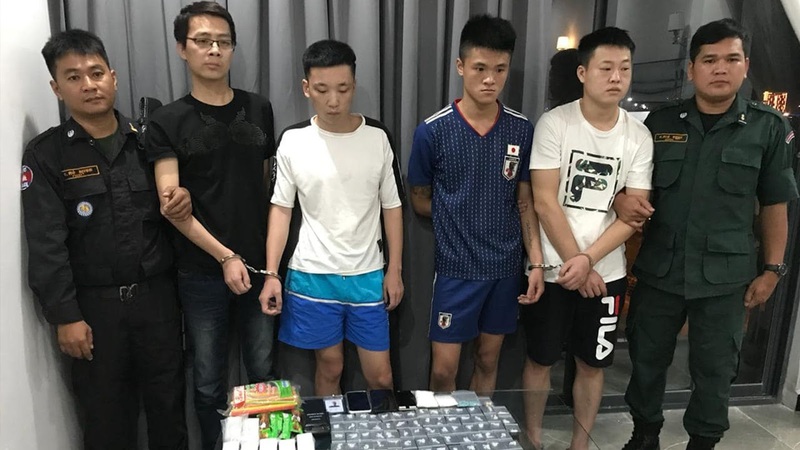 Court spokesman Lim Bun Heng told The Post on Monday that the investigating judge had decided to provisionally detain the eight suspects after charging them following questioning on Sunday afternoon. “The first offence involved them blocking the public road – an offence according to Article 80 of the Traffic Law. “Following damage to three cars, the suspects have also been charged with intentional acts of violence with aggravating circumstances. A senior Virak Chey National Park official on Monday said the 12 Vietnamese nationals being held in pre-trial detention for allegedly crossing the border illegally into Ratanakkiri province and clearing land are suspected of having links to a Cambodian company. 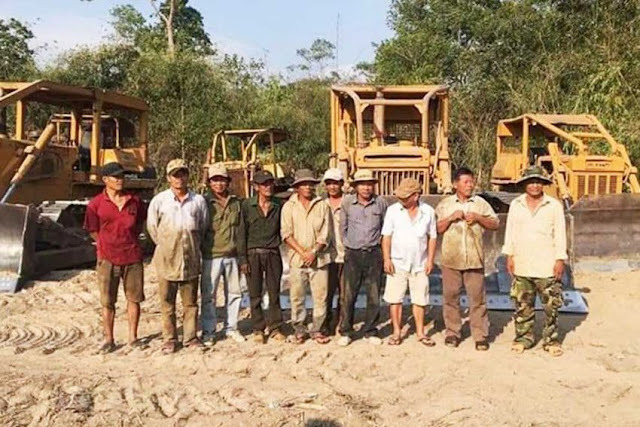 Sou Khon, Virak Chey National Park deputy head, told The Post on Monday that the men came to clear an economic land concession in the province’s Taveng district that was granted to Cambodian company Noupheap Sophy Investment Co Ltd.
“We don’t know for sure whether they got into Cambodian territory with the help of Noupheap Sophy Investment company or not, but the land clearing activities spilled into the area under the management of Virak Chey National Park,” he said. 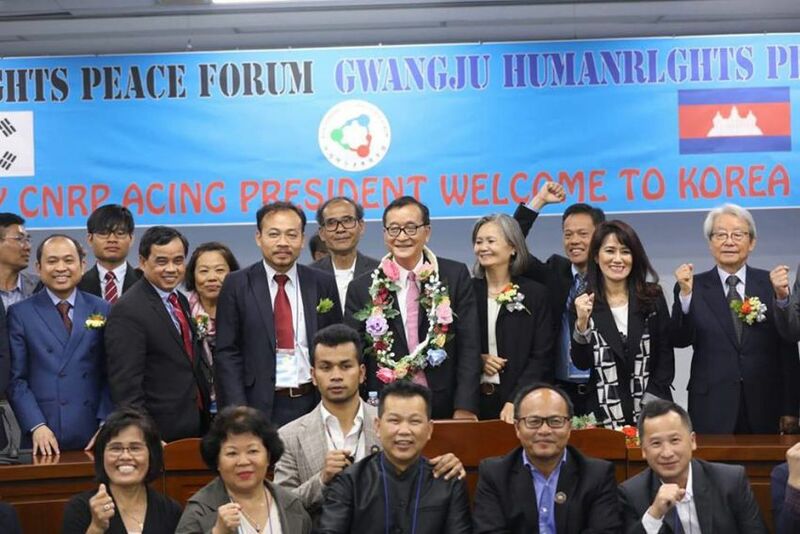 Cambodian opposition leaders and supporters wrapped up a weekend gathering in South Korea with a call for a concerted effort to “restore” democracy to Cambodia and an appeal for support from signatories of the Paris Peace Agreement, which reestablished elections there after years of conflict. Seventy Cambodian politicians, analysts, rights campaigners, and former prisoners of conscience traveled from around the globe to Gwangju for an April 19-21 Cambodian Democrats Congress organized by the opposition Cambodia National Rescue Party (CNRP), where they exchanged ideas on reinstating democratic freedoms in Cambodia amidst a crackdown by Prime Minister Hun Sen. 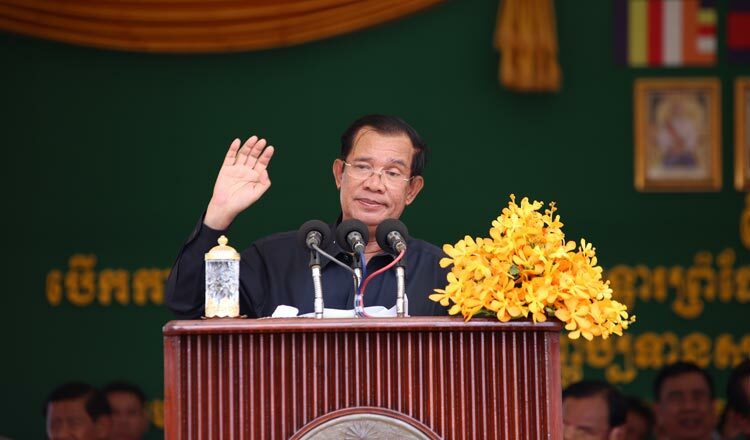 The CNRP was banned by Cambodia’s Supreme Court in November 2017, months after its president, Kem Sokha, was arrested for an alleged plot to overthrow the government. 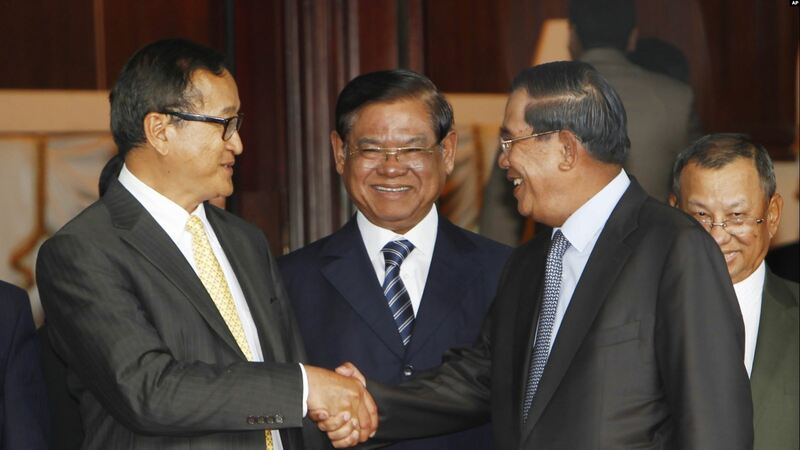 The Chinese and United States embassies in Phnom Penh traded barbs last week over their trade deficits with the Kingdom, with one claiming to be better for the Kingdom than the other. On Friday, the US embassy posted a bar chart showing that imports from China to Cambodia reached about $5.3 billion in 2017, while Cambodia only exported $753 million worth of goods to China. 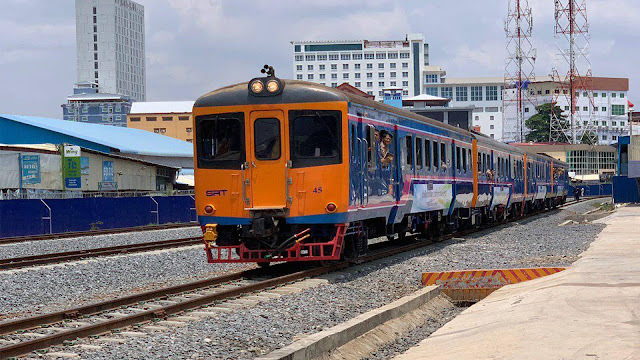 It also noted that the US exported $400 million worth of goods to the Kingdom in 2017, while Cambodia exported about $3 billion worth of goods to the US. 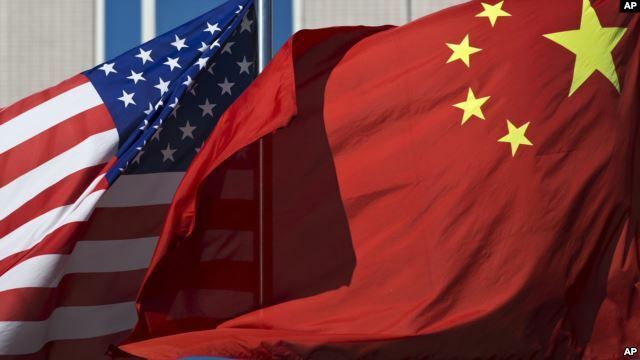 The United States and China flags. PHNOM PENH — The United States and China are sparring on Facebook over comments made about the Cambodian comments made by the US Embassy about the country’s trade deficit. On Friday last week, the US embassy posted a comment on its Facebook about a trade deficit between China and Cambodia, which angered Chinese embassy officials in Phnom Penh. 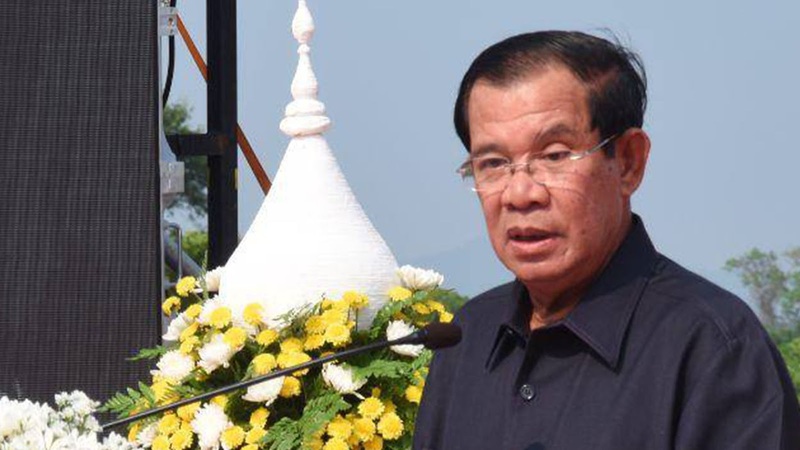 Preah Vihear provincial court has detained the president of the Democratic Republic Party and an accomplice for “inciting others to encroach on community land and inciting violence”, court spokeswoman Chum Kaniya said on Sunday. 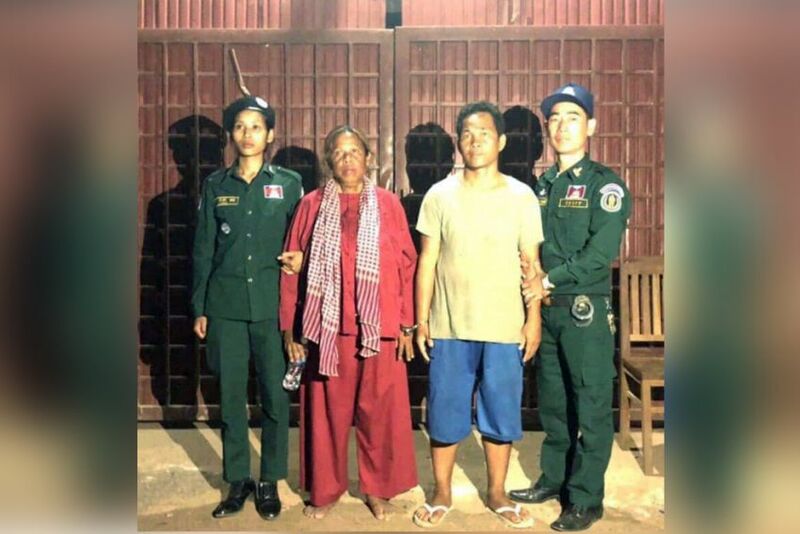 Kaniya told The Post that Panhchakseila, 60, also known as Yeay Men, and her accomplice Chan Pheap, 45, were temporarily detained at Preah Vihear provincial prison on April 12 in accordance with land laws. “The provincial court decided to detain the two temporarily for further investigation, but I don’t recall under which Article [of the law],” she said. 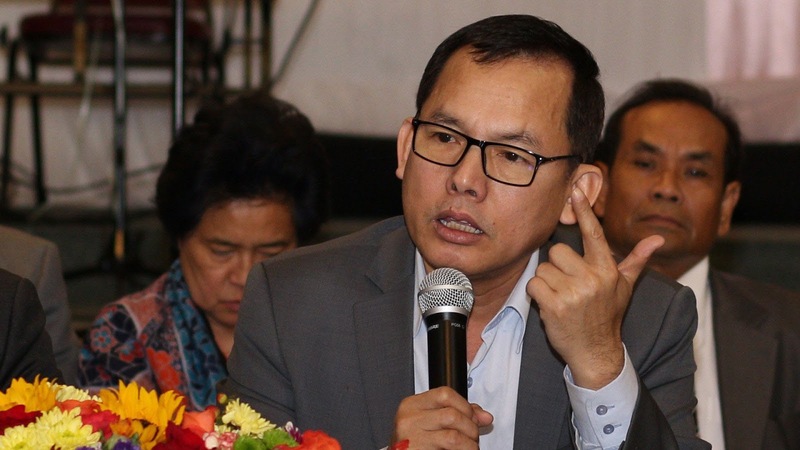 National Police spokesman Chhay Kim Khoeun told The Post on Sunday that the court’s decision to arrest Panhchakseila – a former member of the Supreme Council for Consultation and Recommendations – and Pheap was made after some 100 local protesters had demanded the release of 14 prisoners on April 9. An Anti-Corruption Unit (ACU) official who claimed he was attacked by policemen from Phnom Penh’s Dangkor district has said he hopes to receive justice. 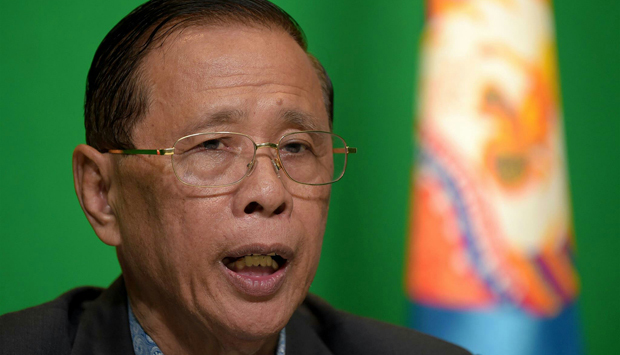 The chief of Phnom Penh Municipal Police has said he will summon both sides for talks to put an end to the dispute. 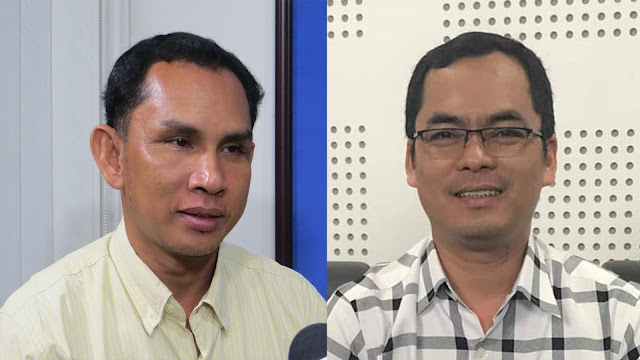 Two Dangkor district deputy police chiefs and a traffic policeman are alleged to have assaulted ACU official Khoem Khom in a “misunderstanding” after a traffic accident on the night of April 9. Negotiations were proposed after the three police officials were summoned to answer questions at the Phnom Penh Municipal Police serious crimes office. Following more than two weeks of intense investigation, Kampong Cham provincial police have finally located the heads of a woman and her granddaughter who were found decapitated on April 3. Deputy provincial police chief Heng Vuthy told The Post on Sunday that the heads of Pou Oun and her granddaughter were found after they were carried from a forest by a neighbour’s dog. He said the dog dropped two plastic carrier bags containing the heads near a villager’s bathroom on Thursday afternoon. 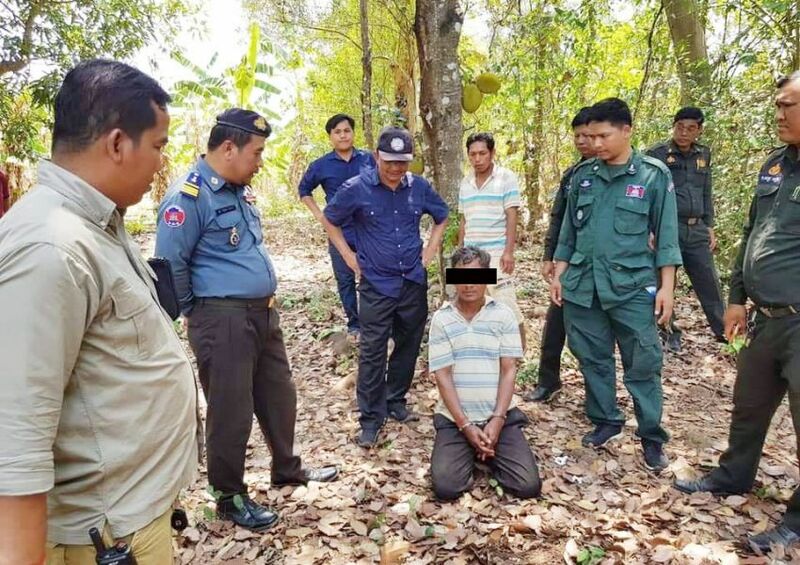 The following morning, a Kampong Cham provincial joint task force cooperated with local authorities to search the area and found the site – located in the forest about 2km from the victims’ village – where their heads had been buried. 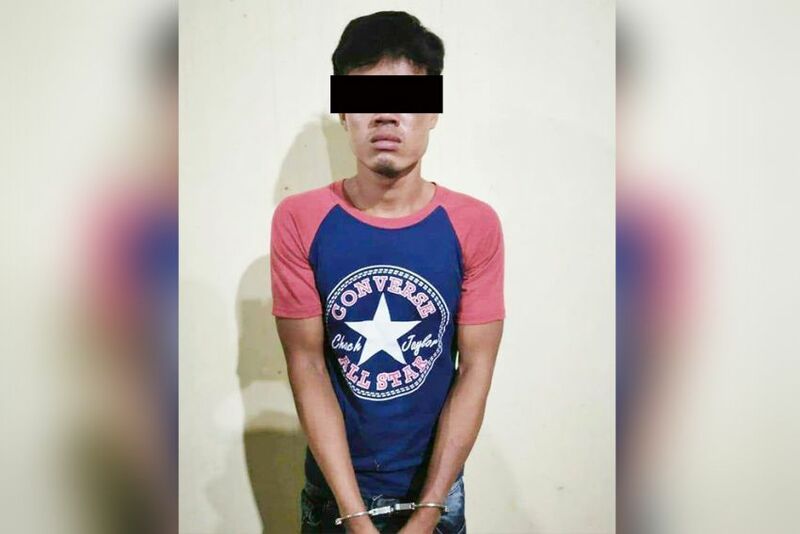 A son who allegedly hacked his father to death with an axe in Prey Ruong village, in Svay Ontor district’s Damrei Puon commune, has been charged with murder by a Prey Veng provincial prosecutor. The man was detained in the provincial prison on Saturday following the incident, which occurred after a party on Thursday night. Pov Chivy, the provincial deputy police chief for serious crimes, told The Post on Sunday that the suspect had been identified as Leng Horn, 23 – the eldest of two sons – while the victim was named as 50-year-old Leng Sao. “The suspect was provisionally detained in accordance with an arrest warrant issued by the Prey Veng provincial court,” he said. Damrei Puon commune police chief Phoeng Vorn said the family regularly argued and that the father had a violent temper. 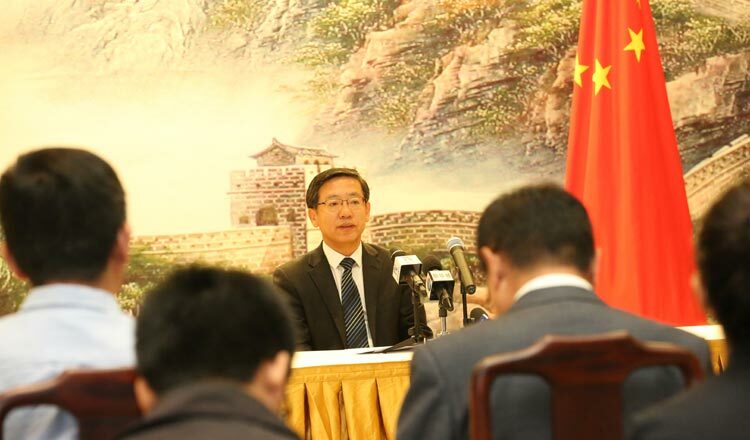 Following official confirmation on Sunday that the highly pathogenic H5N6 avian influenza virus was detected in chickens sold at a Takeo province market in February and March, experts reassured the public that the virus is not dangerous to humans. 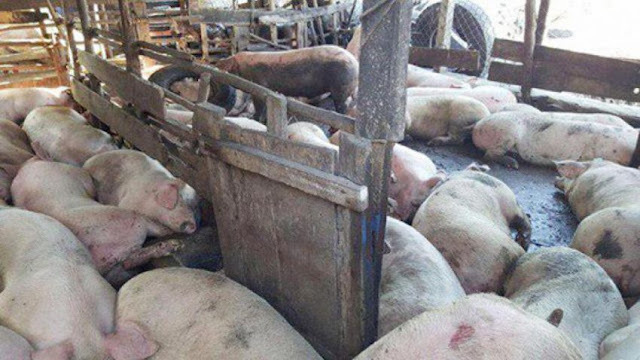 The UN’s Food and Agriculture Organization (FAO) said samples taken from the Donkeo town market tested positive for H5N6, according to Sokkhoeun Oum, the national communications and advocacy officer of the FAO’s Emergency Centre for Transboundary Animal Diseases (ECTAD) in Cambodia. “All the positive H5N6 samples were collected in the first quarter of 2019 and were tested positive for H5N6 in February and March 2019 by the Pasteur Institute in Cambodia,” Oum said in an email on Sunday. Preah Sihanouk provincial authorities on Sunday sent eight people to court for blocking National Road 4 and using violence against authorities in a land dispute in Prey Nop district’s Bit Traing commune. 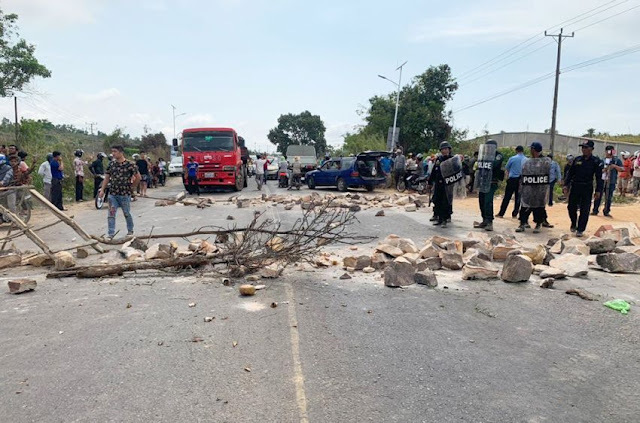 Four police officers and two commune security guards sustained injuries when the protesters hurled stones at police on Friday, according to provincial police chief Chuon Narin. Narin told The Post on Saturday that the protesters blocked the road on Friday with boulders and tree branches before being dispersed. He said police were acting in accordance with the law. “We cannot let them block the national road. Their act was illegal. 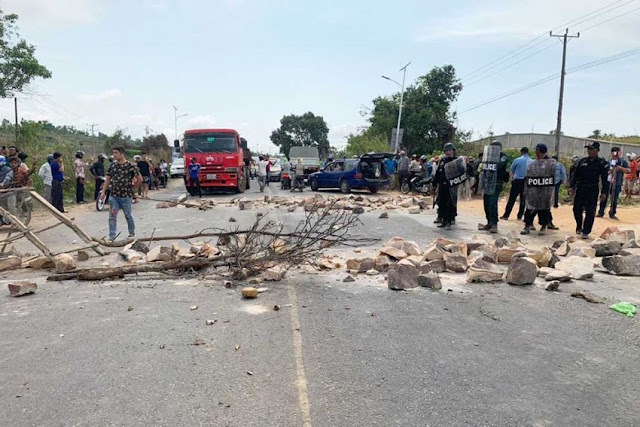 We initially asked them to remove all that was blocking traffic, but they were incited to use violence against authorities who were simply keeping public order." 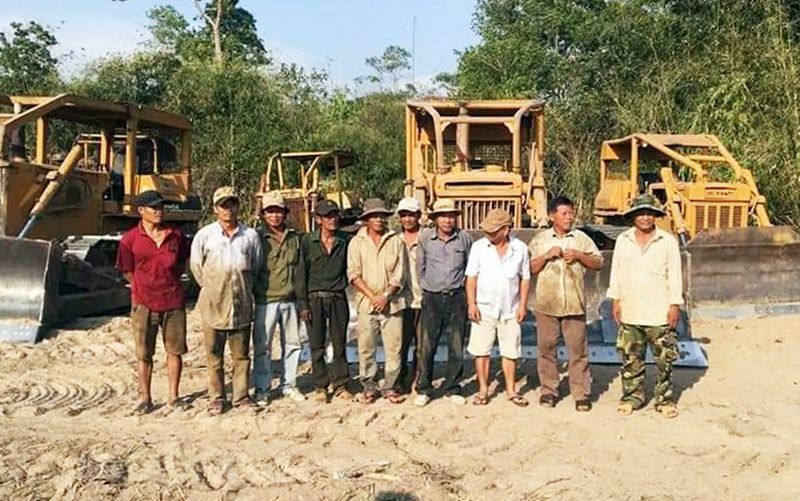 Following a provincial court order, Ratanakkiri Military Police on April 16 arrested 12 Vietnamese nationals accused of crossing the border into Cambodia and illegally clearing forest land. The accused are now being detained at Phnom Svay prison in the province. 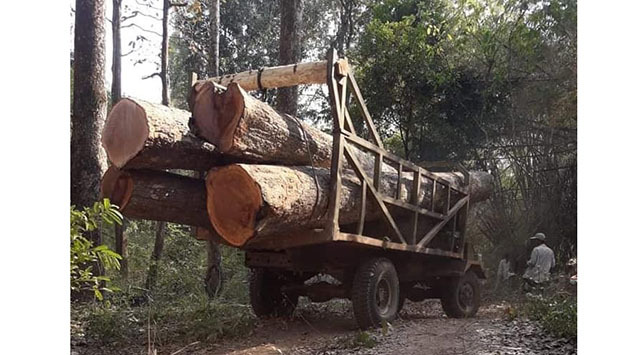 Ratanakkiri military police commander Thav Yen told The Post on Sunday that last Tuesday his team carried out a raid to prevent illegal forestry crime in Virak Chey National Park. He said police arrested 12 Vietnamese nationals and confiscated evidence, including six items of machinery, after they had illegally cleared forest land in the O’Tayak area of Taveng district’s Taveng Loeu commune. 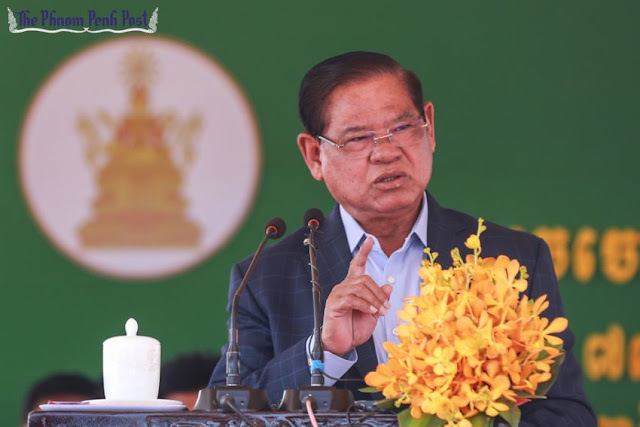 Deputy Prime Minister and Minister of Interior Sar Kheng on Sunday refuted claims that the Kingdom’s democracy has taken a step backwards in recent years. 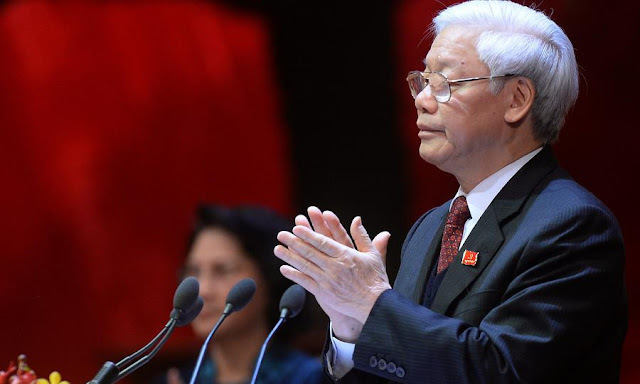 Analysts responded by saying that Sar Kheng’s comments were an attempt to deflect the growing international criticism being levelled against the Cambodian People’s Party-led government. Speaking at a Christian festival commemorating Easter Sunday in Battambang province, Sar Kheng said democracy in Cambodia is moving forward and that democratic infrastructure continues to exist in the Kingdom. Sar Kheng claimed that the Kingdom’s democratic infrastructure is self-evident, citing the more than 40 registered political parties currently carrying out political activities.